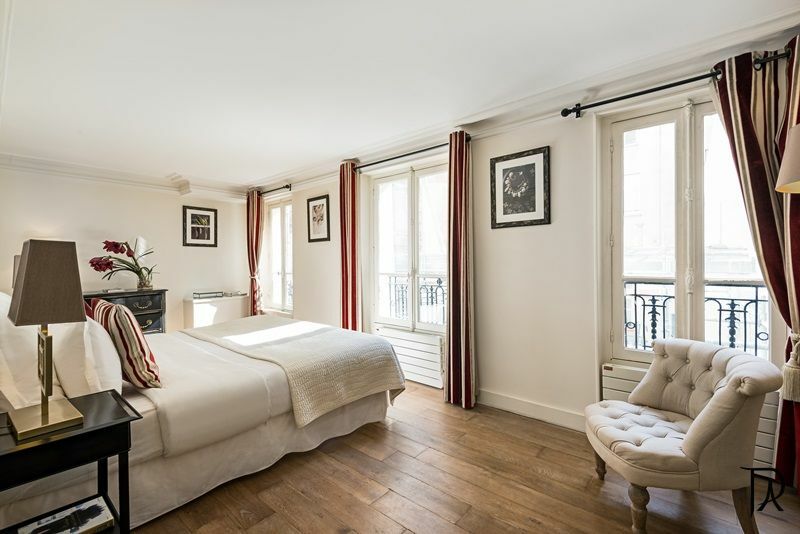 An incredible location in the heart of Paris on Ile Saint Louis right next to the famous Notre Dame Cathedral. 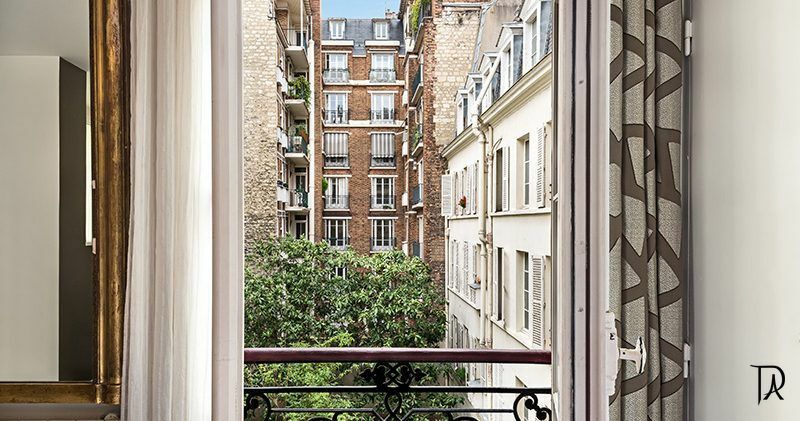 An ideal location to wander through this neighborhood’s tiny crooked streets and passage-ways and travel back in time. The Île Saint-Louis is one of two natural islands in the Seine river, in Paris, France (the other natural island is Île de la Cité). 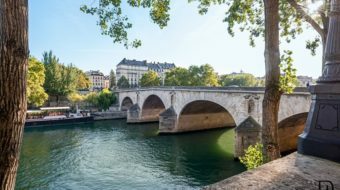 The Île Saint-Louis is connected to the rest of Paris by four bridges to both banks of the river, and to the Île de la Cité by the Pont Saint- Louis. 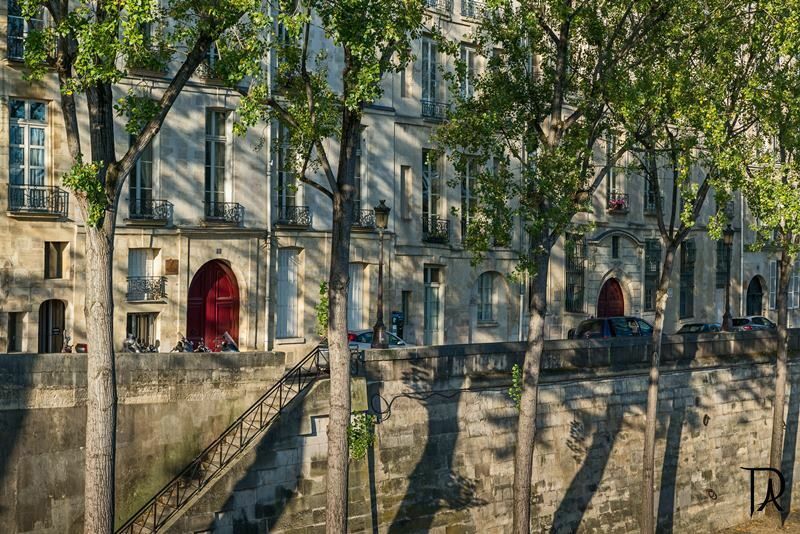 Today the Ile Saint-Louis is one of the most authentic and unaffected 17th- and 18th-century neighborhoods in Paris. This small island is like an oasis from the rush of the city. It's almost as if someone dropped a small French village into the center of Paris, as it features markets, bakeries, fromageries and cafés. 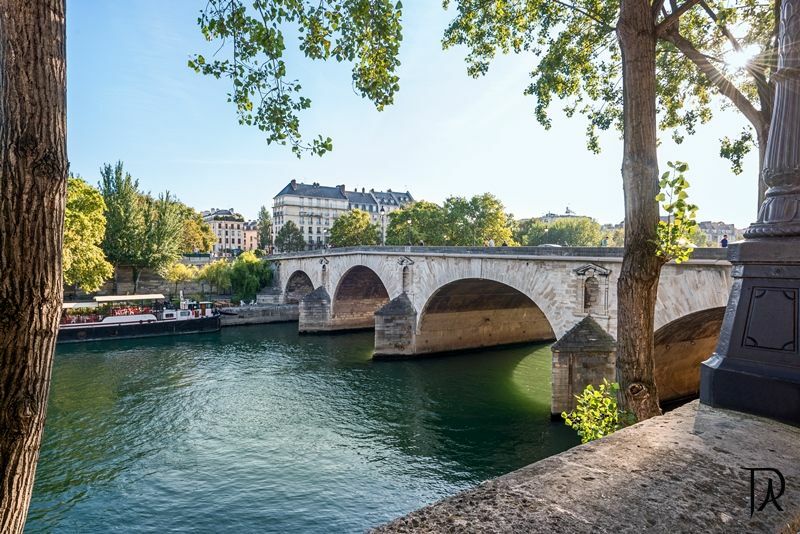 While much of Paris has modernized over the years, the ile remains romantically frozen in the 17th century. It is remarkably the same as it was centuries ago. 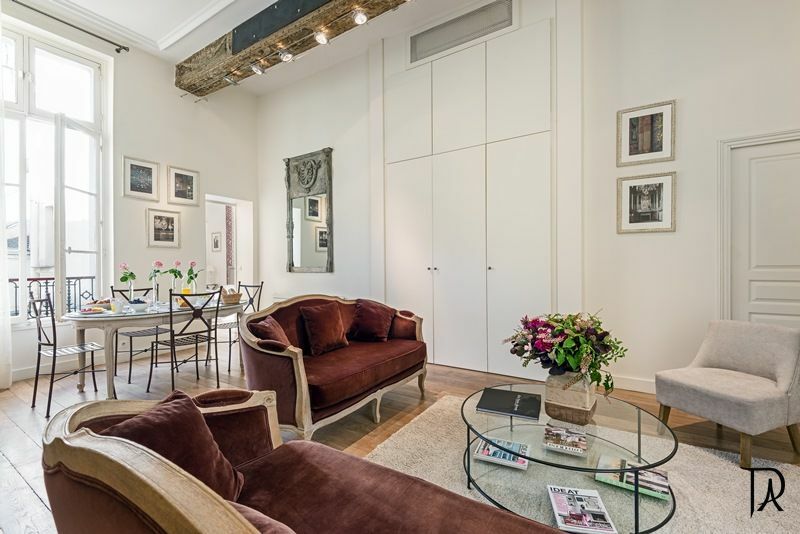 This gorgeous apartment is located in a building built in 1643 surrounded by the Seine and a short walk from Notre Dame. 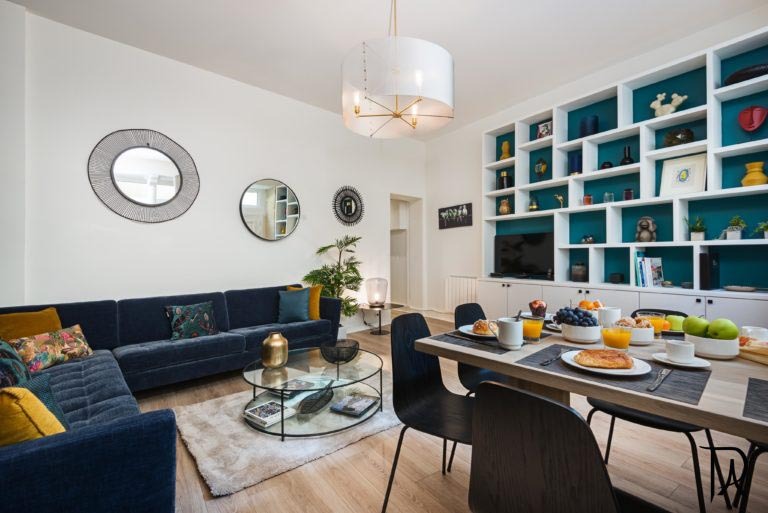 This lovely two bedroom apartment has splittable king size beds, two bathrooms, one of which is en suite, a beautifully high ceilinged living room and dining room area and a compact and practical kitchen. 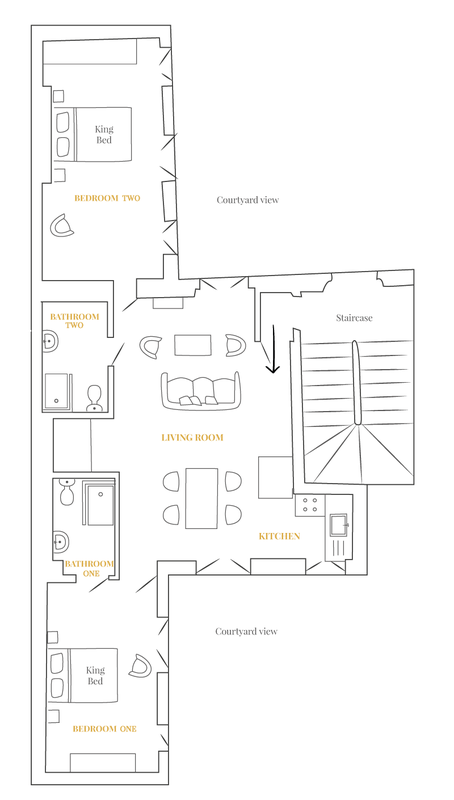 The apartment is on the first floor and has been entirely and elegantly renovated to create the perfect space for families or larger groups with a great floor plan to make your stay gorgeous. We loved this apartment, in a charming building with lots of character. 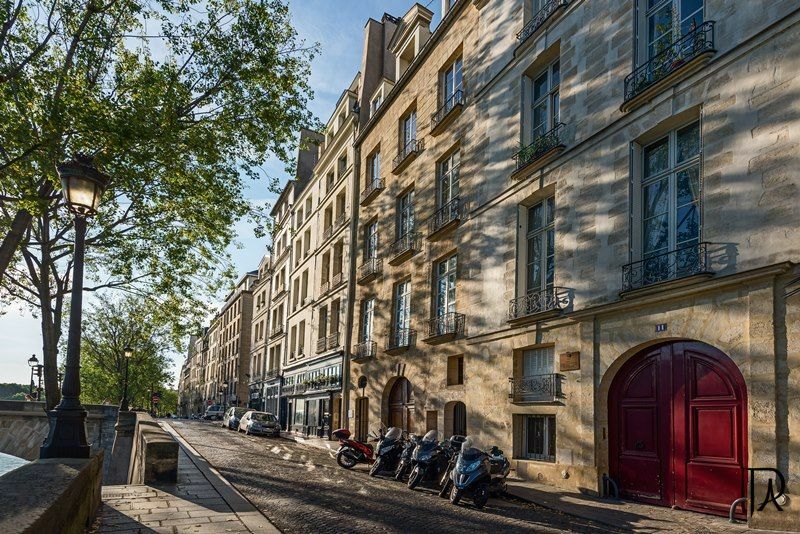 The location is perfect, in the center of Paris, walking distance to everything, and the neighborhood has lots to offer! Will definitely stay here again. Daria and the team were simply amazing. From arrival to departure, we were impressed with their professionalism and for taking everything into consideration. 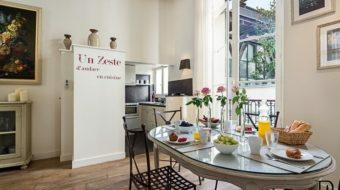 We were greeted with beautiful fresh flowers, wine, and croissants that added a very thoughtful touch topped off with an incredible apartment with all amenities that you could think of, thanks again! 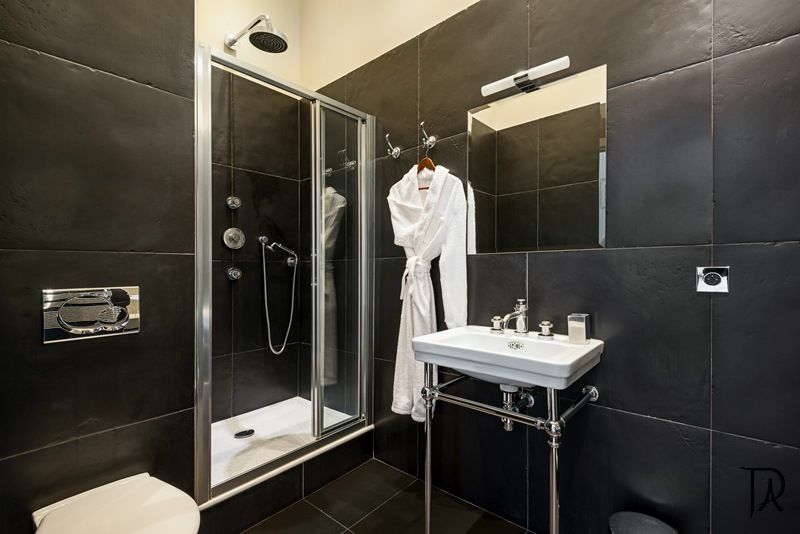 Magic place, scenic,clean,comfortable and beautifully placed.Communication and support from Daria excellent.Would highly recommend this place. 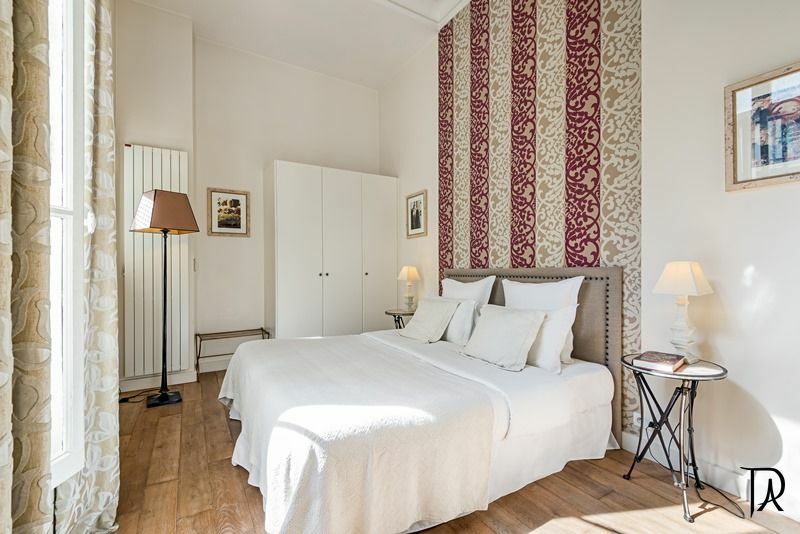 The apartment is lovely and well maintained – perfect for two couples. Everything was in excellent condition and good working order. The location on the Ile St. Louis is superb. The service provided by PVA both prior to and during our visit was excellent – very attentive and responsive. 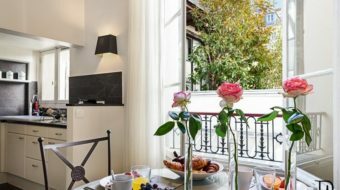 Our representative brought us croissants and flowers upon our arrival and followed up during our stay to be sure we were enjoying the apartment and to see if we needed anything. She arranged our return airport transportation which worked very well. We will work always work with PVA if we return to Paris! 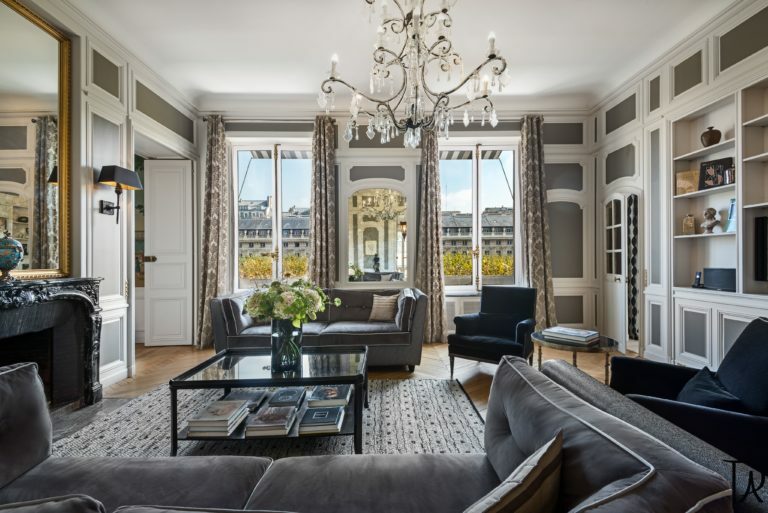 We could not believe our good fortune to find this apartment for our first visit to Paris. It was gorgeous, just as it looked in the pictures on the website. The location was excellent, and we enjoyed our little island very much. We had an easy walk to lots of boutiques, bakeries, cafes and restaurants as well as to many tourist attractions. Notre Dame was practically in our backyard, and we also walked to the Louvre, the Latin Quarter, St Germain de Pres, Luxembourg Gardens. We also were very close to a metro stop for other places further away. We felt that for the location, the size, and the amenities (AC, washer/dryer, 2 bathrooms, kitchen) this was an amazing value! 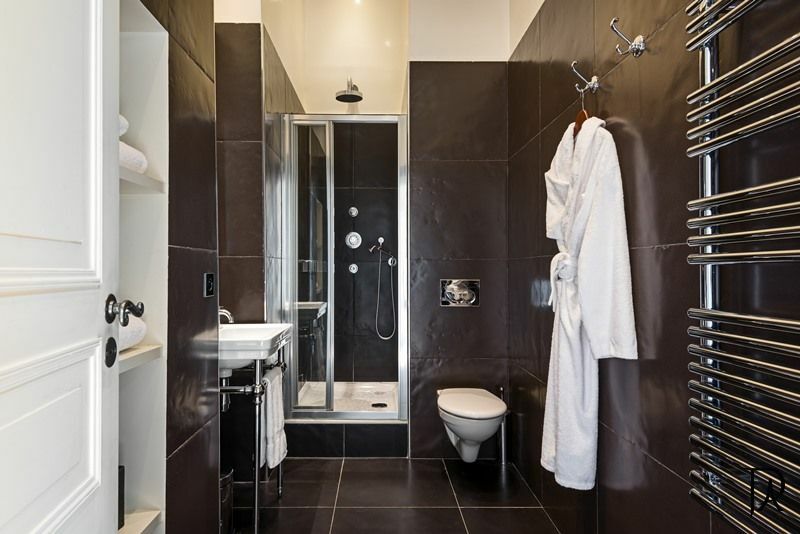 We could highly recommend the apartment and dream about using it again in the future! 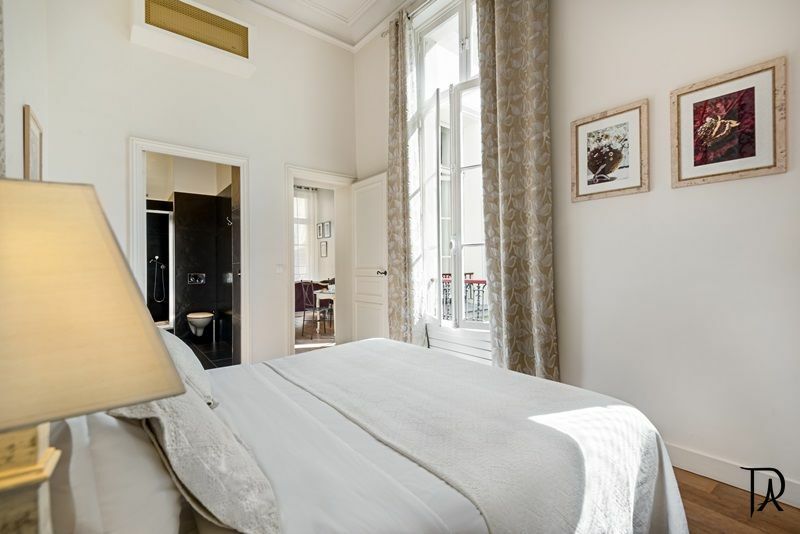 Our family of four loved the apartment on Ile St. Louis. Pierre met us with a beautiful bouquet of flowers in hand and thoroughly showed us around the flat. The croissants he brought were also wonderful. The apartment itself was perfect. We have teen-age daughters and it was so nice to have 2 full bathrooms. The island is quiet, but still walking distance to many sights, lovely restaurants, and shops. Everything was clean and worked well. The beds were very comfortable and the neighbors were quiet. We would rent this apartment again! 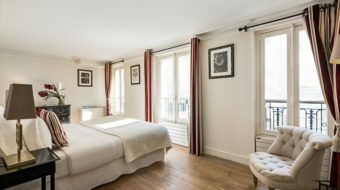 Perfect location, perfect ammenities, True Paris experience. Can’t wait to go back. Outstanding ($3000A is a lot of money but compared to a hotel where a family needs 2 rooms this provides a level of space and comfort that can’t be beaten) Best Best We had previously stayed in a lovely apartment on Place des Vosges, also arranged through PVAbut on this occasion it was unavailable. 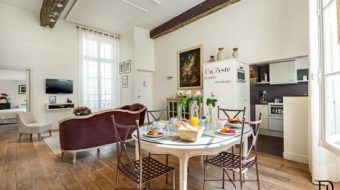 So we were recommended the apartment on Ile St Louis. 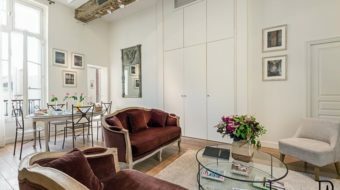 To say we were happy with this apartment is an understatement! 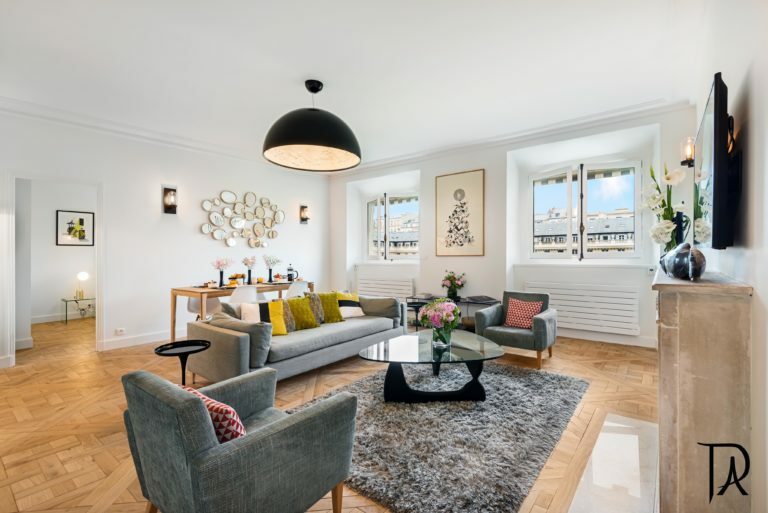 We loved this apartment, it was perfect for our family (2 adults/2 kids 12 and 14). 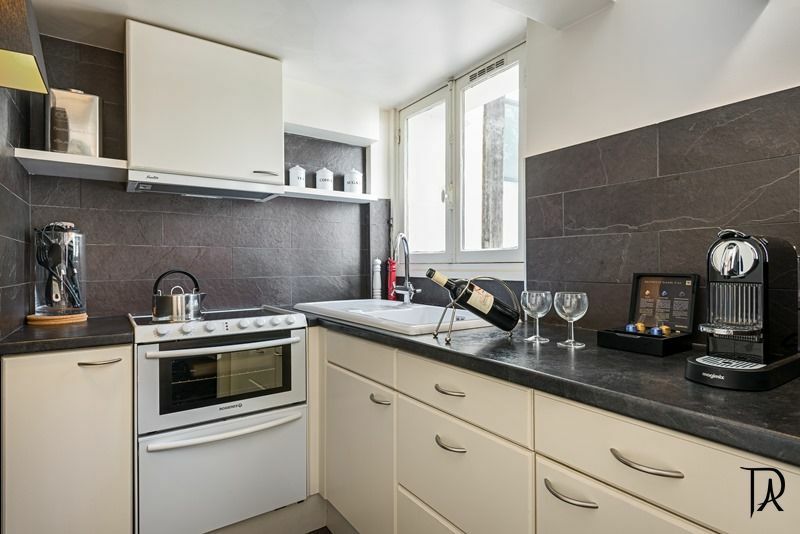 The location was really great, central and convenient to everything we love in Paris. 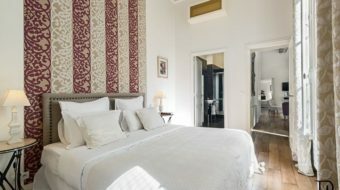 The apartment was beautifully renovated, spacious, bright and warm. 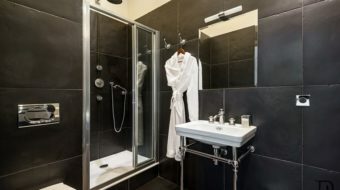 The bathrooms and bedrooms were huge and luxurious and it had all the mod cons like washer/dryer, satellite TV, laptop and wifi. From the minute we arrived, to be greeted by Fred, until we left a week later, farewelled by Clara – we were extremely comfortable and happy. Loved it ! 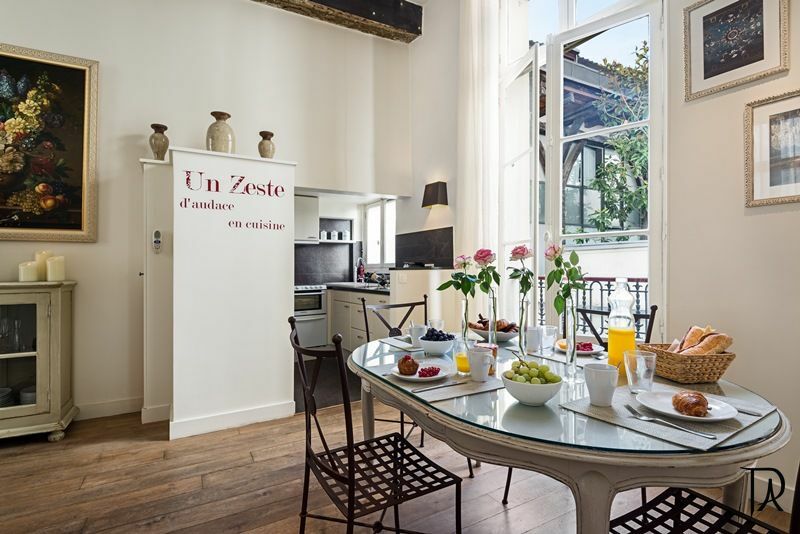 Best We are regular visitors to Paris but this is the first time we rented from this company. 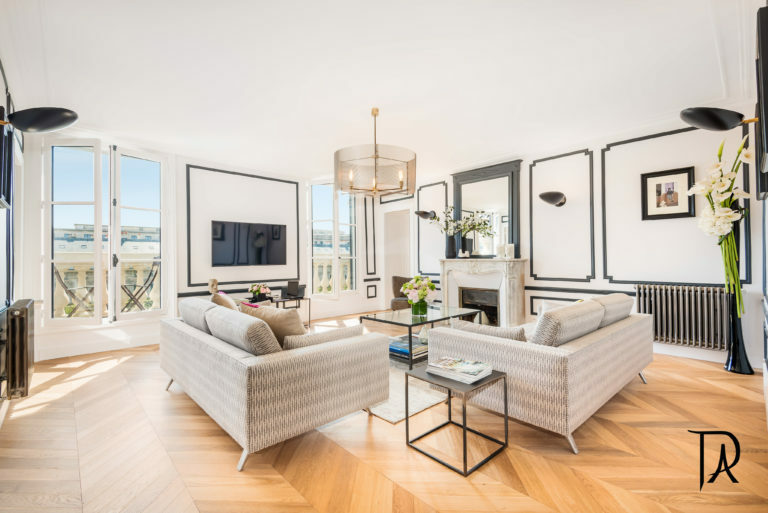 The apartment was in pristine condition and beautifully decorated and the location on the Ile St. Louis is central to everything. It was spacious and had all the appliances and conveniences we needed. We enjoyed the flat screen television and having the computer to look up websites and check email. The best part, however, was the service provided by the staff. Many apartment rentals do not provide such close contact and helpful people. Wonderful experience. Apartment was everything I had hoped it would be. Charming courtyard gave a true sense of security and more quiet than I expected from a city apartment. Amenities like washer and dryer and dishwasher were handy. Apartment was well stocked with necessities like washing powder. The staff was friendly and always available (but not intrusive). They were prompt and more than helpful — far exceding my expectations. Location is amazing. Heart of Paris. Fantastic local restaurants and bakeries where we felt like we were at home — truly friendly people. Internet worked well. Telephone included free calls to land lines in the US. What a great additional benefit. Linens were nice. Apartment is beautiful. As a family of 4, we were perfectly comfortable and at home. I would not hesitate to stay with them again. The apartment was exactly as described and depicted in the photos. It was very spacious and clean with all the mod cons of home. 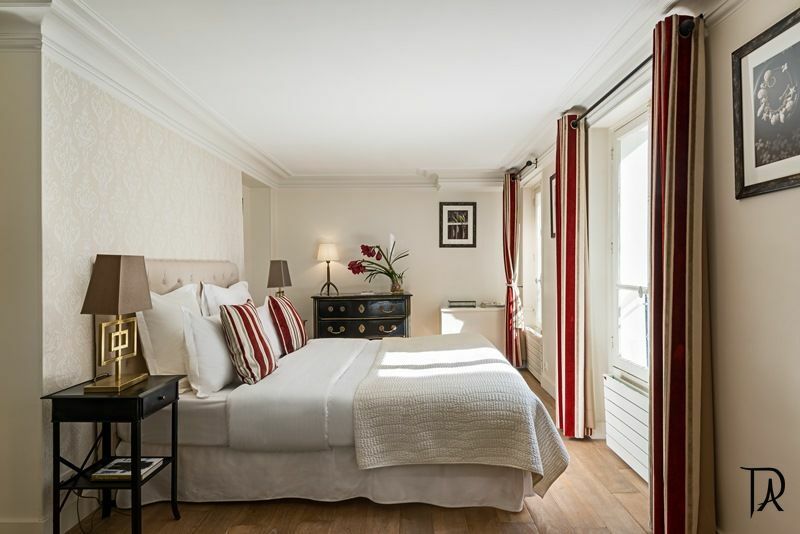 It was very quiet & provided a pleasant retreat after long days exploring & sightseeing in Paris. The staff were very helpful from the time of booking right up to our departure day. 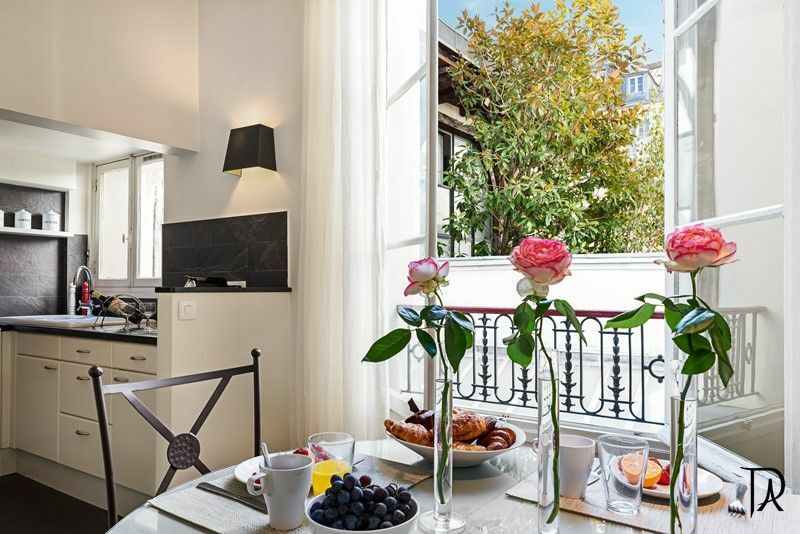 I would use Paris Vacation Apartments again, without a doubt. 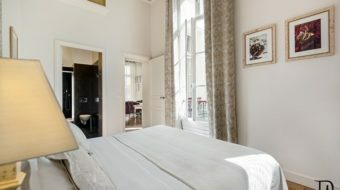 The apartment was exactly as it looked on the website  gorgeous & really comfortable to stay in. 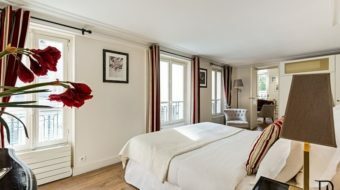 Staying in such a convenient lovely location really made our time in Paris special & helped us feel more like a local than a tourist. We shopped for food locally which was all fantastic  cheese, bread, meat, fruit & vegetables all beautiful shops & great quality. 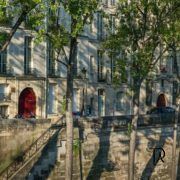 Ile Saint Louis also has great art galleries, gift shops & restaurants as well  a fabulous location. We were met by a lovely fellow  Pierre I think (? ), who was waiting for us even though we had arrived very early in the morning. He was very helpful & made us feel really welcome. A great way to visit Paris. My husband and I stayed in this apartment with our two adult daughters. 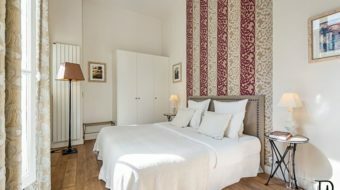 We found it to be a perfect size for 4 adults and both bedrooms were well furnished with comfortable mattresses and nice linens. The apartment faces a courtyard so was very quiet. 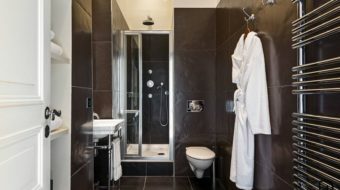 The bathrooms were large and were supplied with lots of good quality towels and bathrobes. The washer and dryer were separate and in a common area so all could access them easily. The floor plan was open with very high ceilings and was quite comfortable and tastefully decorated. We appreciated the use of a laptop and free wifi and would definitely stay here again. The service was excellent both checking in and out. We had no reason to contact the staff during our stay.All of us would rate our stay a 10 for service, value, and attractiveness. We absolutely loved the apartment, it was spacious and bright and comfortable. We loved the fact that the people who we rented from met us when we got there. They explained everything to us about the apartment. We loved the location because it was close to a metro station, and lots of wonderful places to walk to , to shop , eat . I would absolutely rent from this agency again, in fact, I will only call them when I go back to Paris, as we were extremely pleased. 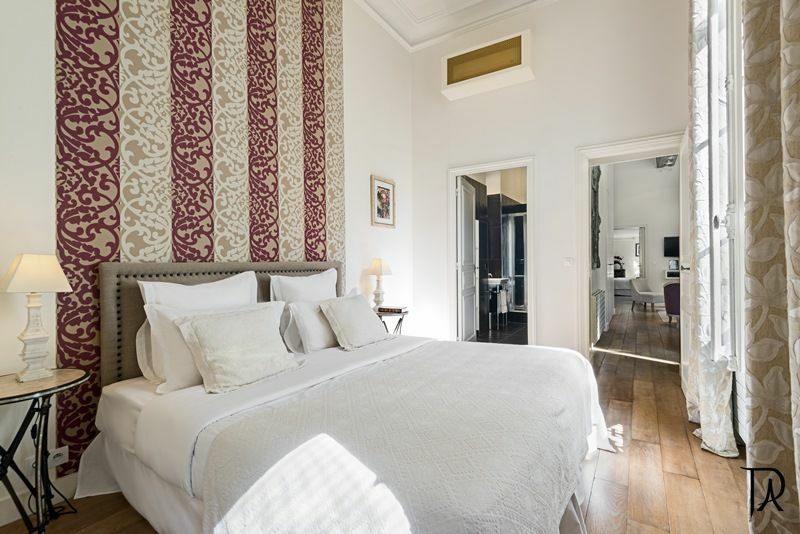 We have traveled extensively and stayed in exquisite accomodations. 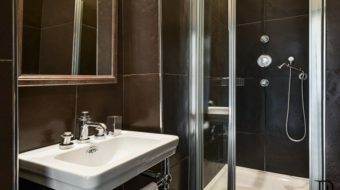 This was our second experience staying in an apartment rental (the first being 10 years ago) and it could not have been more elegant and comfortable! 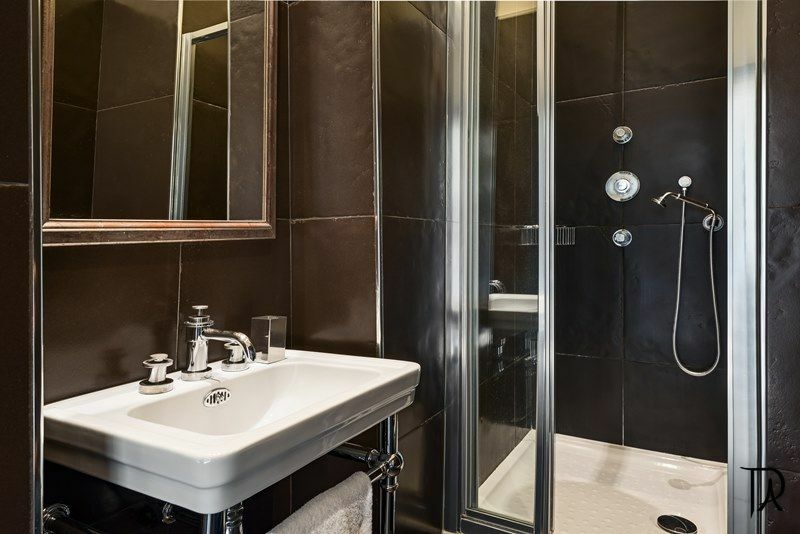 The renovations were bright and modern, and both bedrooms and baths were spacious and elegant. The kitchen had everything one might need for everyday living and there was plenty of seating in the dining area and living room. 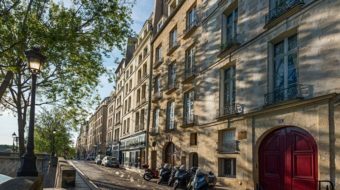 Location was an absolute 10 since we could roll out of our apartment, and be down the street from Notre Dame and numerous restaurants, shops and museums. We had only one minor problem and that was with the drain in the master shower. It didn’t work well and we should have contacted pva but managed despite it. Five people lived extremely well in this very airy and pleasant space and we would use your service again, and this apartment would definitely be on the top of the list. Thank you. The apartment and service completely exceeded our expectations. Emily greeted us with warm croissants, flowers,and wine. But more importantly she spent a great deal of time sharing her knowledge of Paris with us…..especially great restaurant recommendations. 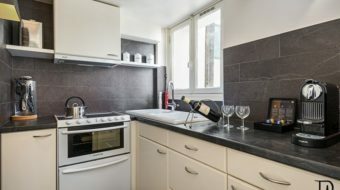 The apartment was immaculate, every appliance worked perfectly. There was even soap for the washing machine! 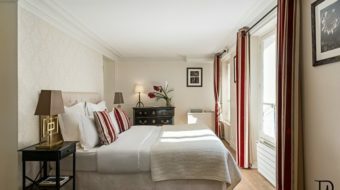 It was so perfect that we travel to Paris often and will never stay at a hotel again. We hope to try another PVA apartment next year simply to try out a different location…just for fun. Best : . 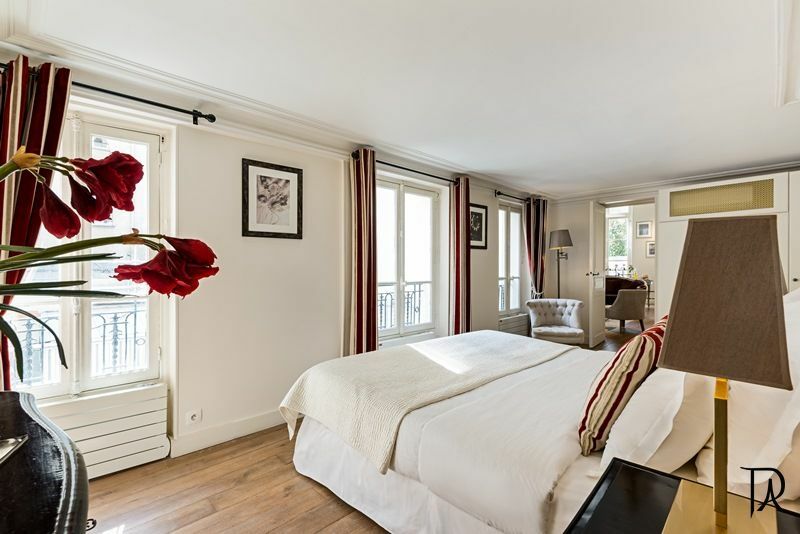 We spent a great week in your apartment on the Ile Saint Louis. The location was perfect. The apartment was extremely comfortable with modern updates. It had everything we needed. Our experience was outstanding. Your staff, especially our contact, Karina, was very helpful in making our stay wonderful. They responded immediately to any question or request. Thank you. We will definitely contact you when we travel to Europe again. I hope that you consider expanding to other cities. 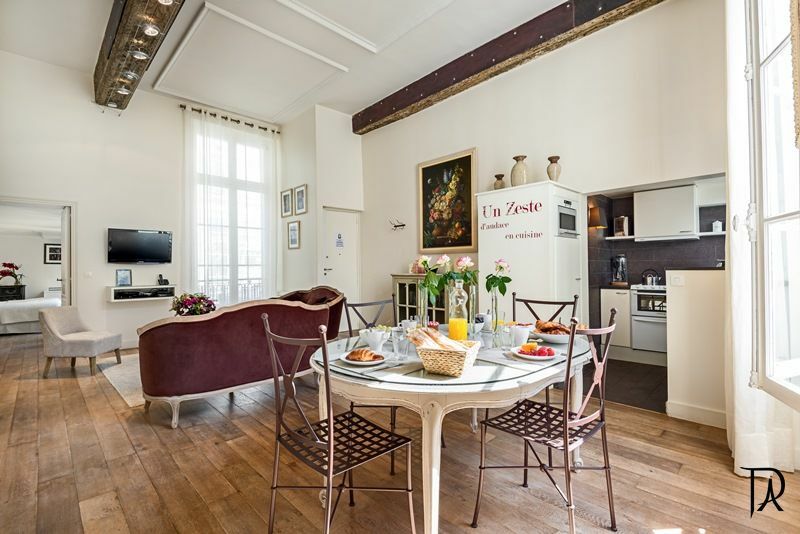 Best We rented the apartment on Ile St Louis fo r the first week in August. It was absolutely wonderful from start to finish. The apartment was great and well stocked. The area itself is perfect.within easy walking distance of any place you want to go. I would give everything a 10 and I would give Isis a 10+. She went above and beyond the call of duty and did everything she could to make our stay perfect. She is truly a gem. I think what impressed us the most was that everything was as pictured – there were no surprises. I would not hesitate to recommend this agency to anyone so you may certainly use us as a reference.